12 x 5 minute exposure at 800 ISO on October 20, 2007 from Wateren (NL), it was a very clear night. SQM reading 21.1 mag/sq. arcsec. M78 is the brightest nebula on the right, left of it is NGC2071. 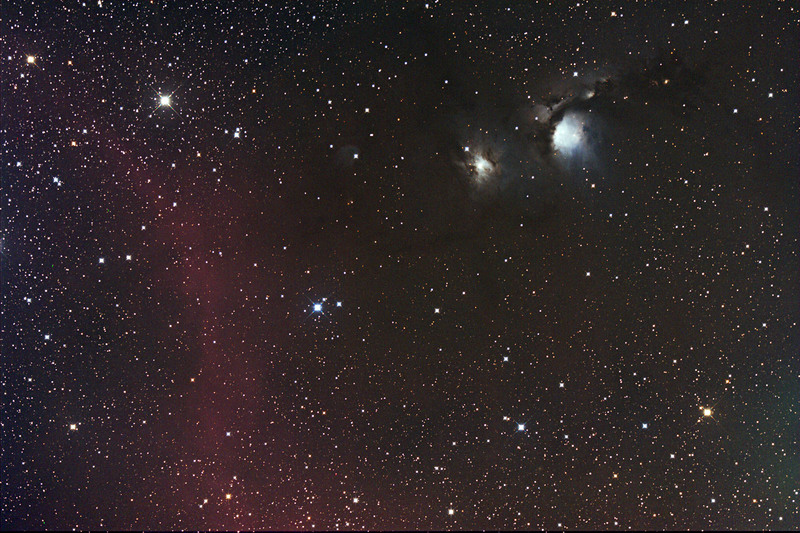 The red nebulosity on the left is part of Barnards Loop in Orion. Lots of dust lanes are visble. Modified Canon 350D, and a 20cm (8") f/2.75 ASA Astrograph.